Liverpool’s fireworks spectacular River of Light returns this weekend and will see four specially commissioned artworks light up the city’s waterfront. The artworks mark the finale of China Dream, a nine-month arts season delivered in partnership with the University as part of Liverpool’s 2018 Capital of Culture ten-year anniversary celebrations. As well as the five Chinese elements being represented, from 5pm Sunday there will be a wide variety of streets performances on the waterfront including fire artists and performers. 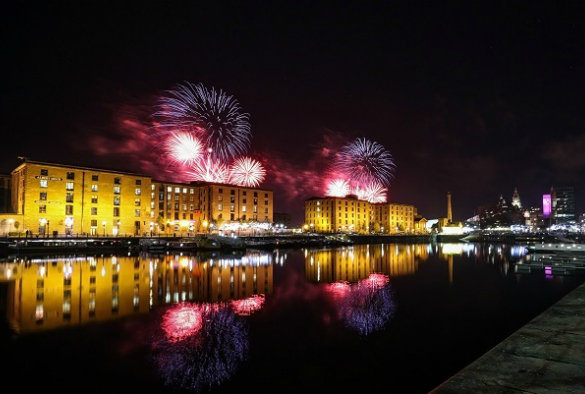 Both sides of the Mersey will be lit up by fireworks, with tens of thousands of people expected to line the waterfronts in Liverpool and New Brighton for the free spectacle.